Why wait for what you need to go on sale when you can have sale prices anytime you shop? 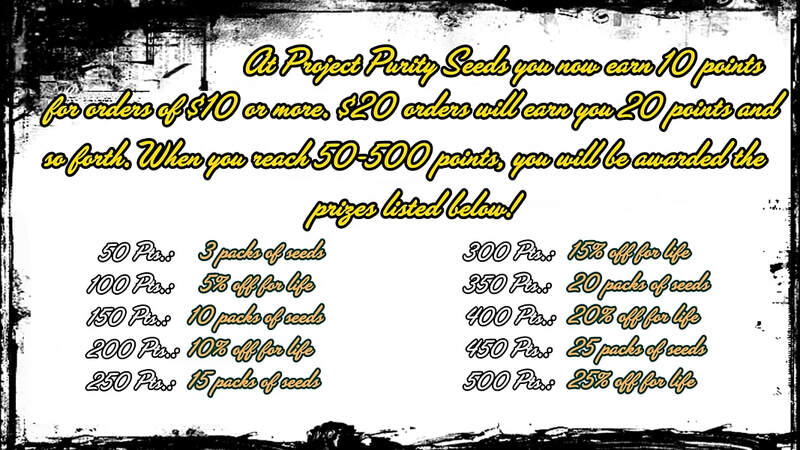 At Project Purity Seeds you now earn 10 points for orders of $10 or more. $20 orders will earn you 20 points and so forth. When you reach 50-500 points, you will be awarded the prizes listed! 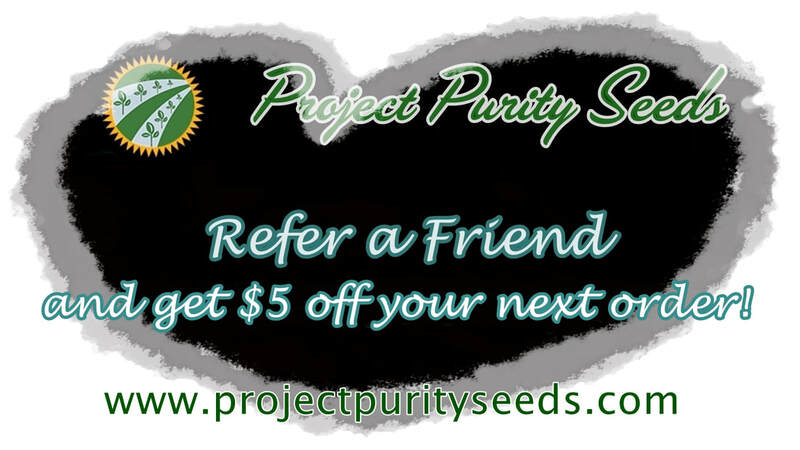 ​Refer a friend or family member and get $5 off your next order at Project Purity Seeds! If you'd like to participate, be sure to contact us to receive your personal Referral Code to give out.